This is so pretty. I'm usually more keen on b/w but the coloured one works better here. Ooooh, me likie. 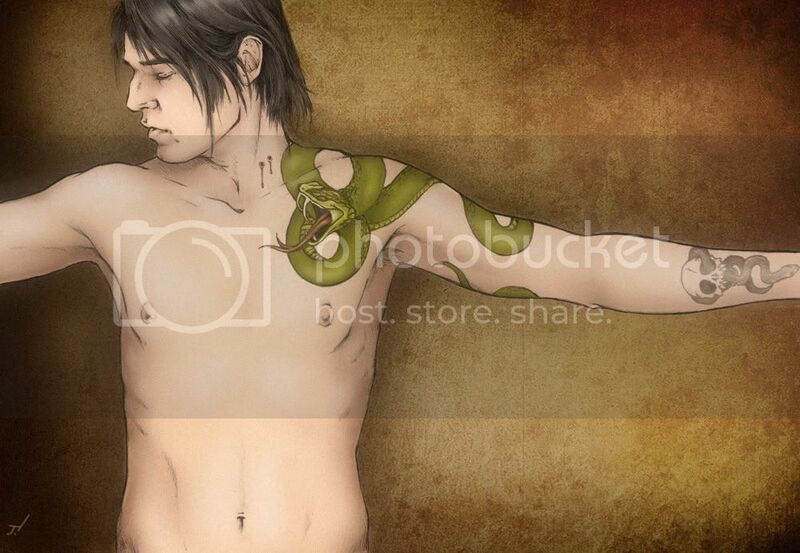 I love the snake bite part of the snake tattoo. 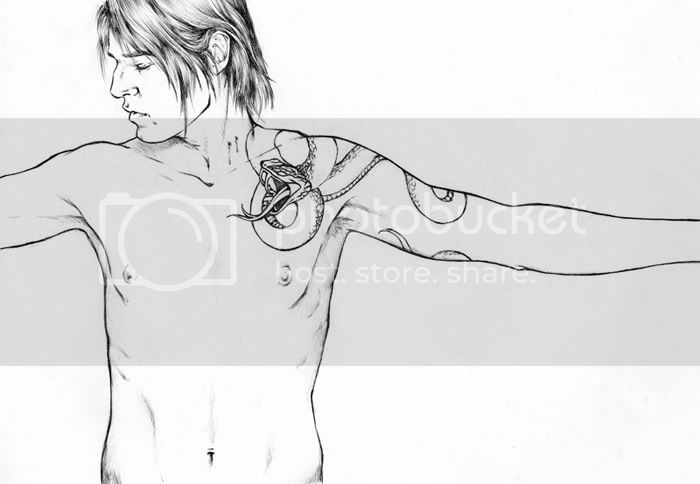 The tattoo actually looks a bit like the one I want to get, funny thing is I don't have the exact picture of it yet but I think this one has come the closesed. 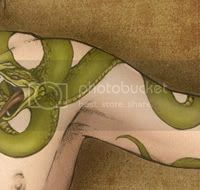 I also love his face, what we can see of it, and his dark mark looks AWESOME! Good job! His posture, his hair, his wounds and his expression are just to die for.